It is with a heavy heart that the Bluemont Concert Series Board of Directors announces the termination of Bluemont programs and administrative operations, effective June 30, 2018. Following a series of planning sessions over the past 18 months, the Board decided that the non-profit Bluemont Concert Series as currently organized lacked the financial footing to continue. 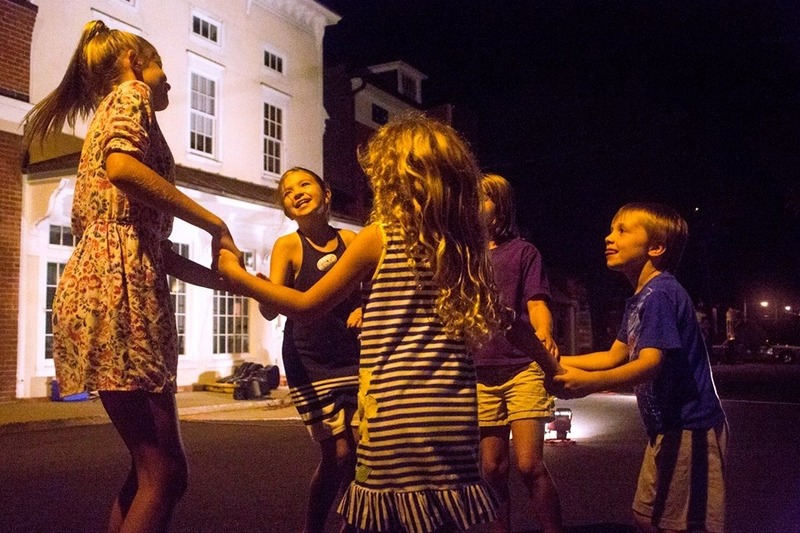 Since 1976, Bluemont's unique public/private partnership has been a part of the cultural fabric of our 34 Virginia communities. It has presented more than 9,648 cultural programs in local schools, nursing homes, special events and summer concerts to 3.2 million families and visitors. Bluemont's extraordinary cultural legacy was built on the generous support of local government and private donor partners as well as the participating communities it served. We are immensely proud of our history over the past 41 years and treasure the many wonderful memories created by quality entertainment and cultural enrichment that we were so fortunate to present. In an ongoing attempt to maintain our popular cultural programs, Bluemont has been actively engaged in reactive downsizing for the past 10 years. Traditional funding from state and local government appropriations has been steadily reduced from $263,000 in fy2008 to $59,434 in fy2018. Bluemont strived to maintain community programs while offsetting the funding deficit each year by cutting costs and seeking other sources of revenue. While we continue to believe that music and art are critical to a well-rounded education, and vital to our beloved communities, our programs require resources to operate. Despite a storied forty plus year history, and ongoing conscientious budgeting, our resources have been exhausted. Effective January 1, 2018, the Bluemont Board of Directors has with great reluctance released our award winning Executive Director, Lily Dunning Widman and her staff. The Board greatly appreciates Ms. Widman's outstanding professional service and we wish her much success in her future endeavors. She and her staff gave countless hours to make Bluemont truly special and their commitment to excellence is to be commended. Bluemont began in 1976 as a series of concerts and old time country dances in the Bluemont community but grew to include regional cultural programming in many Virginia communities such as our Artists In Education, Healthcare Outreach in nursing homes, and various other music, theatre, and dance special events. Bluemont stepped in to fill this important need when school budgets in the cultural programs were non-existent. We built support for the programs through the years and have been blessed to share our passion for the arts with young and old alike. Programs like Bluemont do not exist without leaders and visionaries. The Bluemont Board's recognition and appreciation for our many volunteers and sponsors cannot be adequately expressed in words. We are mindful that without their commitment and energy, Bluemont would have never existed and flourished for over 40 years. They have given more to the heart, soul and vitality of Virginia than they know. It has been an honor and a privilege to fulfill the Bluemont mission by helping to build our cultural programs for the people in our communities. We thank everyone for their support over the years, and will continue to treasure fond memories of families singing, dancing and sharing art in their own community. Bluemont’s Board and volunteers are working hard to do the significant work involved with closing a 40 year institution. In order to make a graceful exit the organization has obligations to fulfill and a small debt to retire. Bluemont must raise $7,500 to close the doors gracefully and meet all obligations. Please considering making a donation today- visit our gofundme page or mail a check to P.O. Box 802, Berryville, VA 22611. Every gift counts. In January, we had concerns about honoring Bluemont’s debts; we want to let you know that as of today between private donations received offline and our #gofundme campaign Bluemont has reached our $7,500 goal allowing us to end our operations in the black, fulfilling all of our financial obligations. Your gifts helped us to reach this goal and honor the 42 year legacy of Bluemont in your communities. From the bottom of our hearts- thank you for your support. Bluemont deeply thanks our many volunteers and sponsors. We are mindful that with your commitment and energy, Bluemont has existed and flourished for over 40 years of wonderful cultural programs in our communities. We continue to be overwhelmed with gratitude from the stories we've heard about what Bluemont has meant to you and your friends and families, and from the great generosity of our supporters. Thank you! Our gofundme total is now at $4258 with an additional $1570 raised in contributions sent directly to Bluemont- bringing our total raised to $5828 towards our goal of $7500. This leaves just $1672 left to raise- we are so close!! If you are seeing this you have already made a gift. Thank you from the bottom of our hearts! Please consider sharing our campaign along with a heartfelt message to your friends. Send a few personal emails, or make some calls and texts. We so appreciate your help as we work towards reaching our goal and closing the doors with a clean slate! Thanks so much to all who have donated or shared this campaign with friends. You're support means so much to us during this challenging and sad time. We've received $3,803 from 61 donors from our gofundme and an additional $970 from donations sent directly to the Bluemont office bringing our total to $4793. We have just $2707 to raise to meet our goal to help us fulfill our obligations between now and June and close with a clean slate. Please share this link with friends and family and encourage them to give- or send direct messages with the link to folks you know who love Bluemont. Again - thanks so much to all of you who have donated, shared, and shared your stories about what Bluemont means and has meant to you over the years. It means so much to us. We are so grateful for your tremendous generosity and for your lovely messages and memories of Bluemont over the years. Thank you from the bottoms of our hearts! We have just $4,742 left to raise. If you haven't already- please share our gofundme with anyone who you think may have loved Bluemont over the years and be willing to contribute.